In 1998, when John was a burnt-out executive at Microsoft, he took a three-week holiday to Nepal. On one of his treks, he was invited into a local school, where the headmaster showed him the cabinet where the few precious books the school owned were locked away. John was amazed how scarce books were there, and promised to return the next year with more. He spent the year gathering children’s books and then, accompanied by his father, returned to the school to deliver them. The reaction was overwhelmingly grateful—and prompted John to leave Microsoft and dedicate himself to the small task of changing the world. 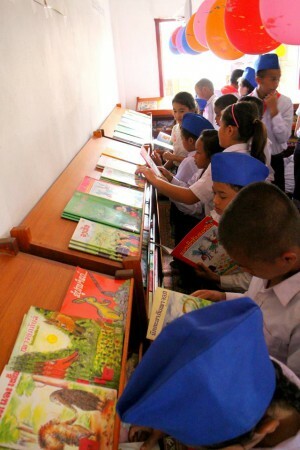 Firmly believing that world change starts with educated children, John began in Nepal, constructing schools and libraries, and the following year spread to Vietnam, then Cambodia, then beyond. Room to Read now works in ten countries across Asia and Africa, and has established over 17,000 libraries and helped almost nine million children. It has a special Girls’ Education programme, and publishes books in local languages, which engages (and employs) a large cross-section of every community. I was fascinated by the story, captivated by John’s character, and inspired to do something. Room to Read has branches (‘chapters’) across the globe, and I was warmly welcomed into the Paris Chapter. We hatched a plan to channel the energy, enthusiasm, and passion for books at Shakespeare and Company into raising money for Room to Read. 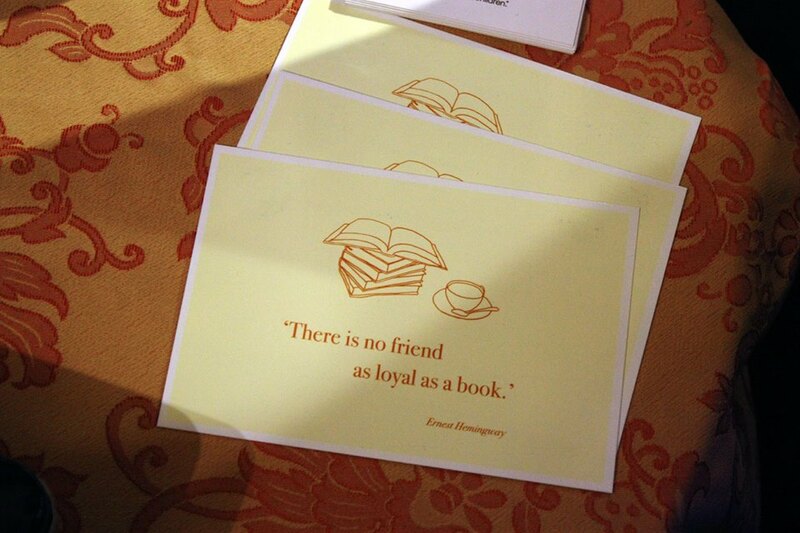 We designed a bag and a postcard featuring a beautiful quote from Hemingway: “There is no friend as loyal as a book”, a sentiment shared not only by the staff and customers of the bookshop, but also true to the spirit of Room to Read. 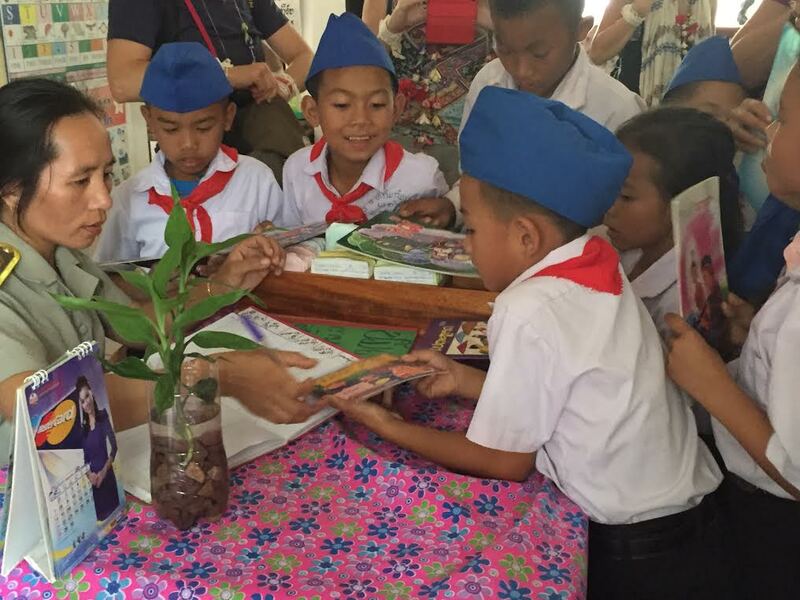 The shop generously donated all the profits from sales to the charity, and we raised a grand total of €7340, enough to build a library in Laos. In a fitting tribute to George Whitman, who loved books and travelling, the library will have a plaque honouring his name. George once said that a “bookstore is an empire of the spirit that has been expanded laterally”. I love how literal this has become: part of his spirit has expanded outside of Paris, beyond Europe and into Asia.